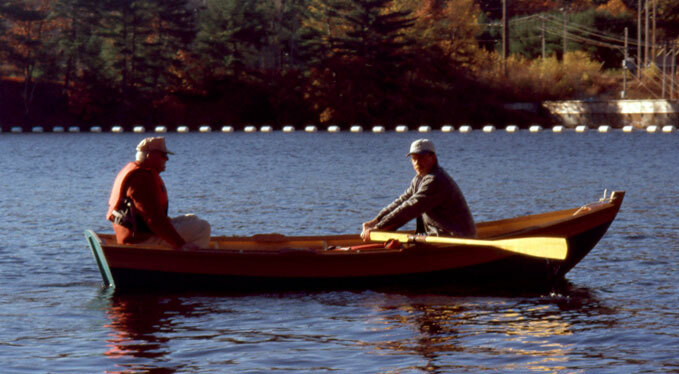 Bob Elliott led seven students in the construction of this Merrimack Skiff built at Lowell's Boat Shop, Amesbury, Massachusetts during the winter of 2001. with a length of 13'3" and a beam of 2'6", the skiff is built of agathis planks riveted over sawn oak frames. Owner Mark Collins launched her in July, 2001 at Harpswell, Maine. 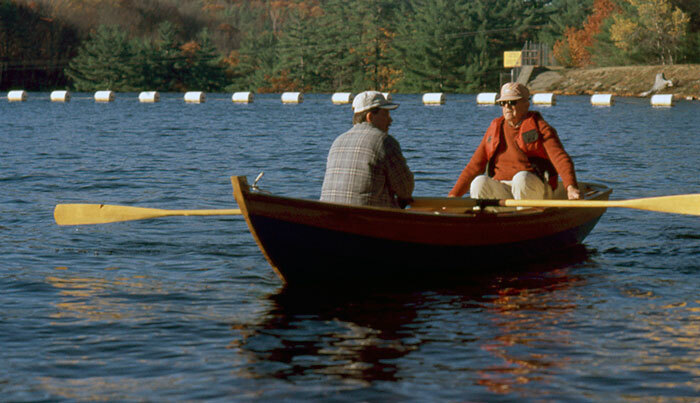 He is seen here at Glenn Lake in Goffstown, New Hampshire. Mark's address is P.O. Box 734, Goffstown, NH 03045-0734.